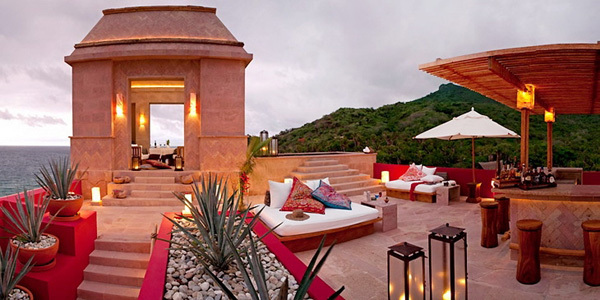 Luxuriously perfect homes exist everywhere. 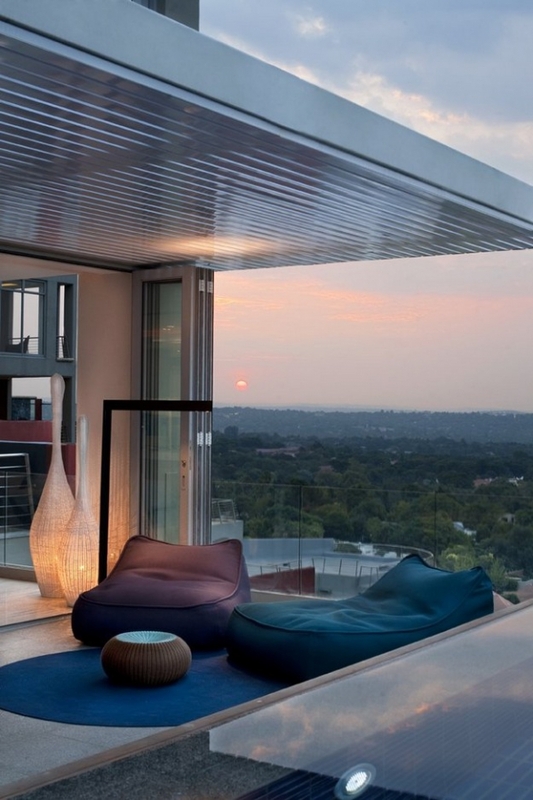 We have looked at a lot that have been located throughout Europe and Central through South America, but today we’re looking at a gorgeous penthouse that is situated down in Johannesburg, South Africa. 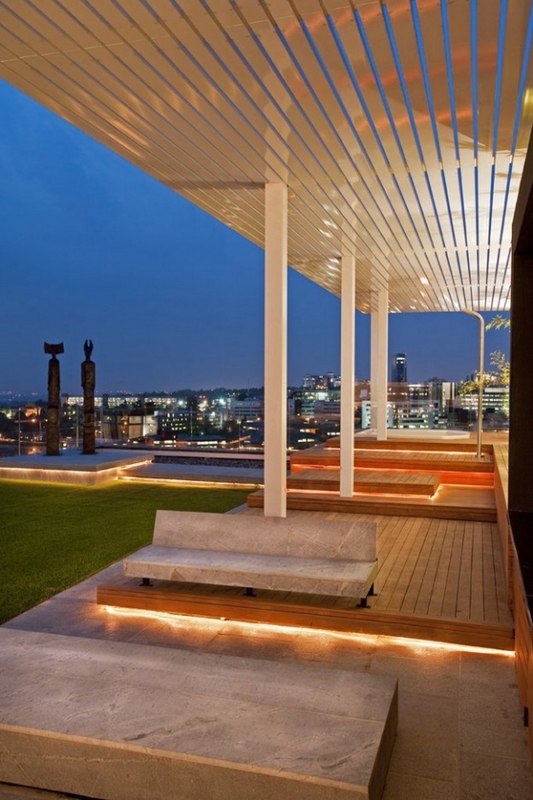 This three-level penthouse, designed by Stefan Antoni Olmesdahl Truen Architects (SAOTA) and OKHA Interiors, is a stunning example of what it is to own a luxury home in the 21st century. 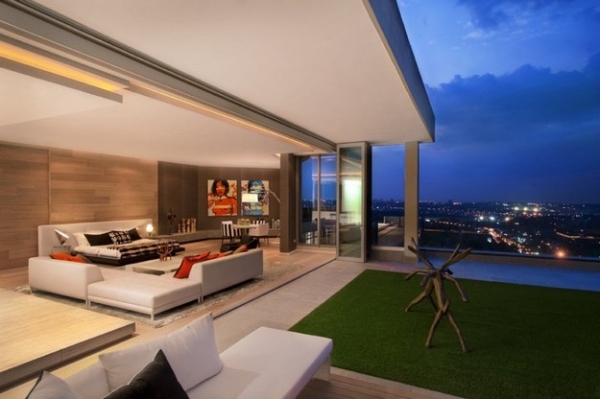 It was said by one of the lead designers, Adam Court, that this home was going to set a new standard in modern urban luxury living. 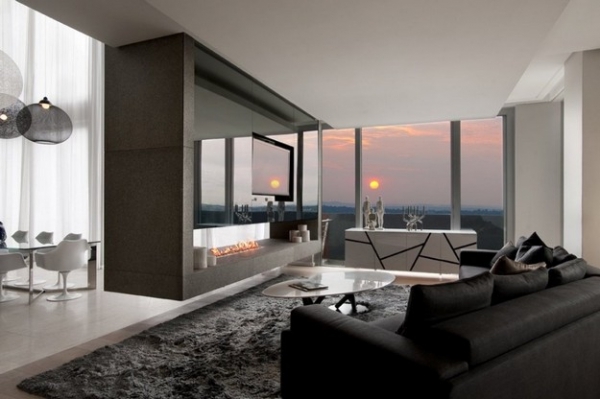 One of the brilliant aspects of the design of this penthouse is the idea that a true flow of indoor and outdoor exists, even when it is actually on the 11th floor in a commercial building located in the city center. 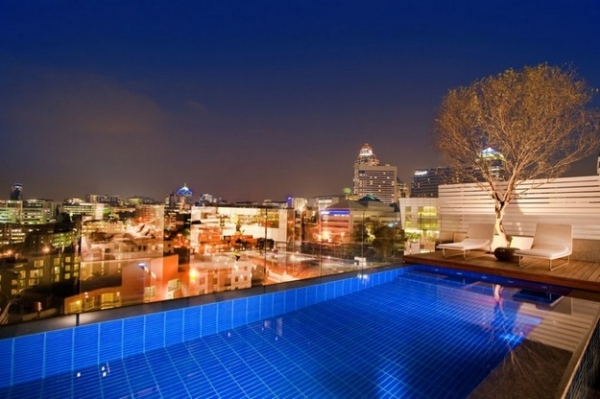 When you look around the home, especially on the patio, pool area, and outdoor lounge area, you do not get the sense that you are in fact surrounded by a sprawling city view (and aren’t those views beautiful?). 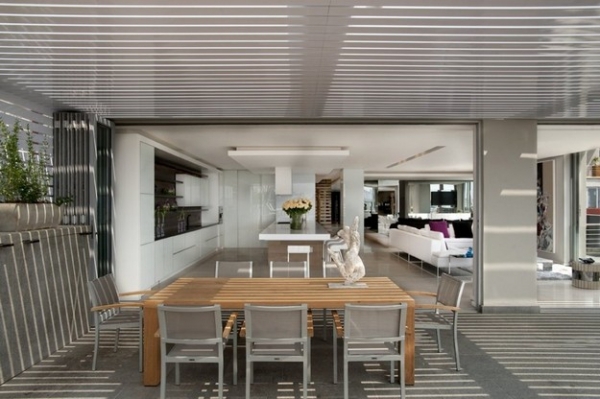 The interior design in this luxury home is to die for, seriously. 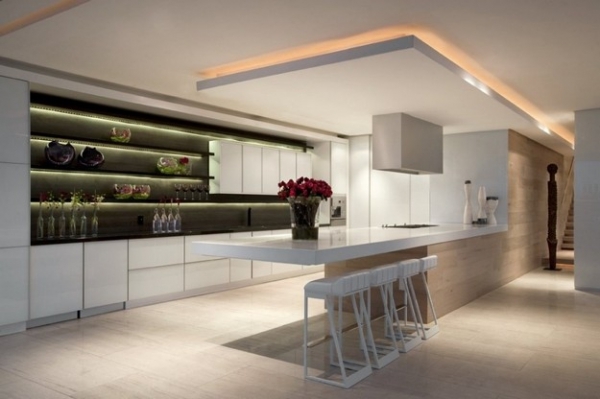 We are huge fans of the monochrome, minimal approach, especially in homes like this. That theme has been done with perfection here, and the accents of plum are an excellent addition to the palette. The balance of modernism and tradition here is really awesome too. 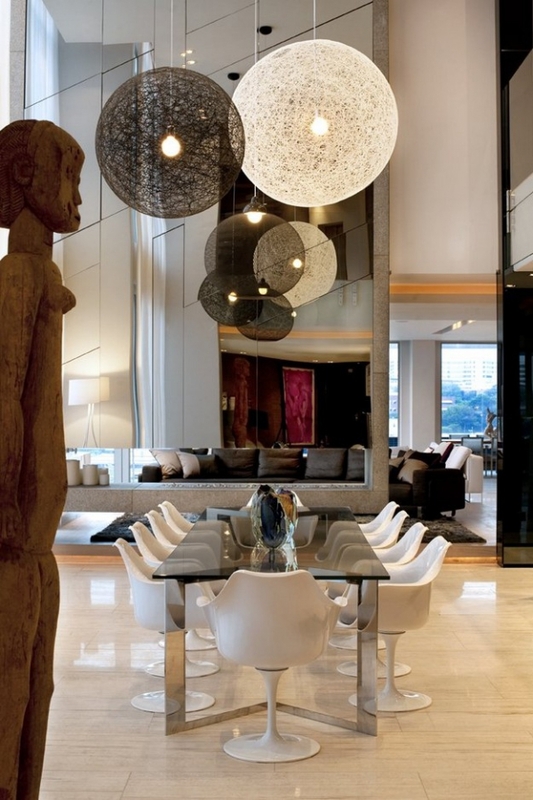 While most of the structures and décor pieces used as part of the design are very contemporary, the traditional African statues that stand intermittently in the home really brings the home full circle. 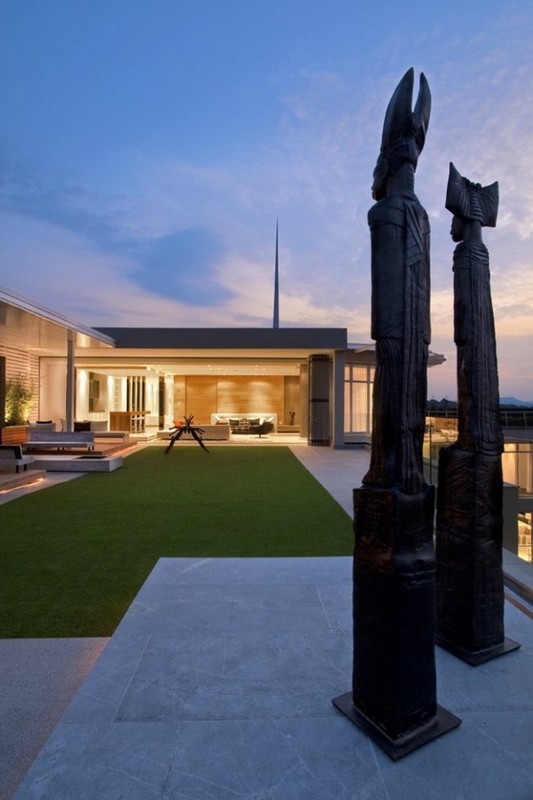 While this is a beautiful example of a luxury home in the 21st century, keeping true to African tradition (in this specific case) is just plain cool; not to mention we do appreciate custom in the home and in design.